The natural beauty surrounding the Anne of Green Gables setting could inspire any writer. 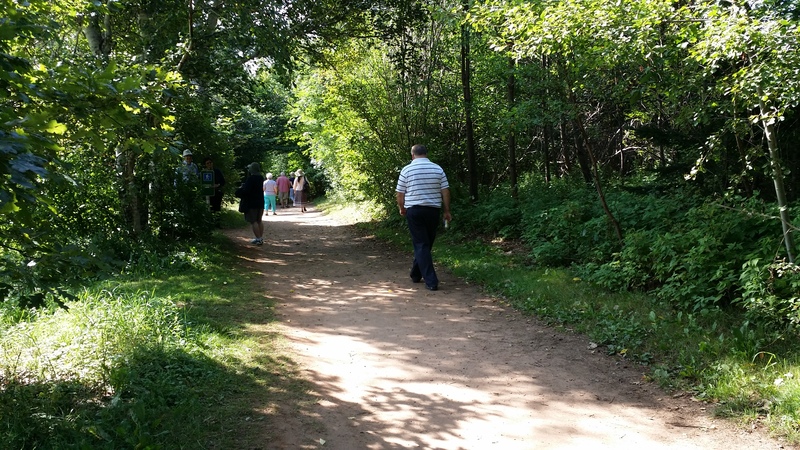 Lucy Maud Montgomery used this lovely setting as the centerpiece of her novel about Anne. I imagine this area with no tourists. I see peaceful days filled with times of introspection and memories. God’s creativity seems to flow from every corner. Click here to see a short devotional. “Are you so dull?” He [Jesus] asked. “Don’t you see that nothing that enters a man from the outside can make him ‘unclean’? For it doesn’t go into his heart but into his stomach, and then out of his body.” He went on: “What comes out of a man is what makes him ‘unclean’ (Mark 7:18-20, paraphrased). Click here to see a short devotional about how we are gifted. 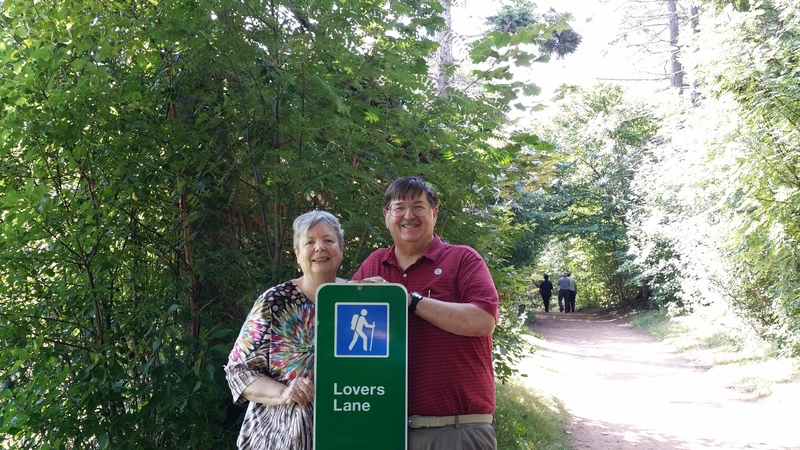 When you read Anne of Green Gables you will find tales of Lover’s Lane. David seemed especially happy to find that it really exists. Mark Twain called the novel “the sweetest creation of childlife yet written.” And I agree with that assessment one hundred percent. But Anne grows up. Lover’s Lane is a popular site, visited by hundreds of thousands every year. 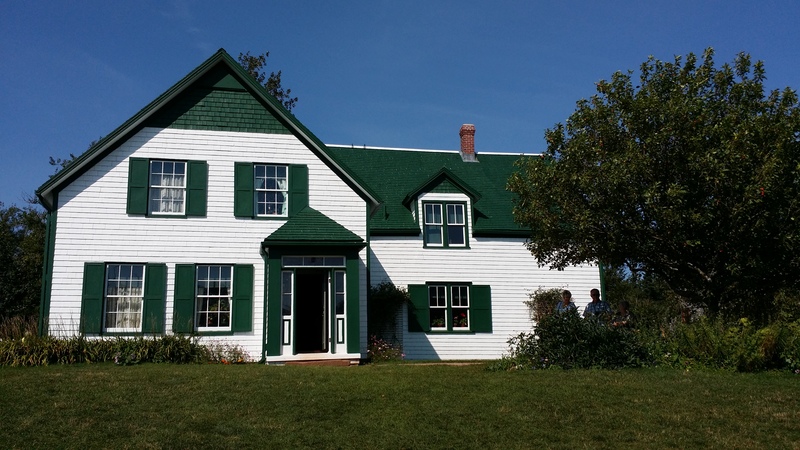 The Anne of Green Gables House in Cavendish will stir memories of the story of Anne’s childhood as well as your own. Lucy Maud Montgomery gave us a little slice of heaven with her creation of Anne of Green Gables. 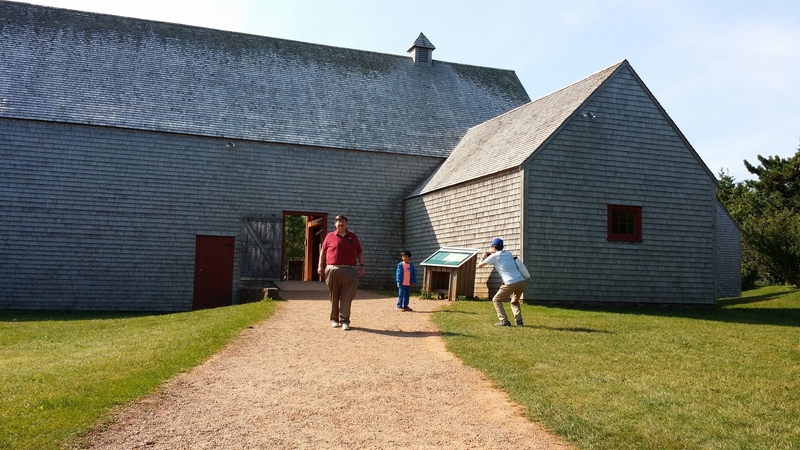 The story lives on in the delightful grounds and museum on Prince Edward Island. 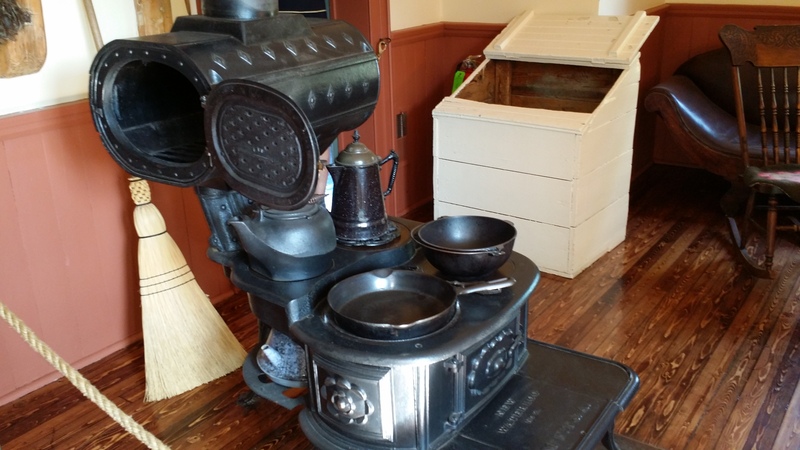 Click here for information about the Anne of Green Gables museum. 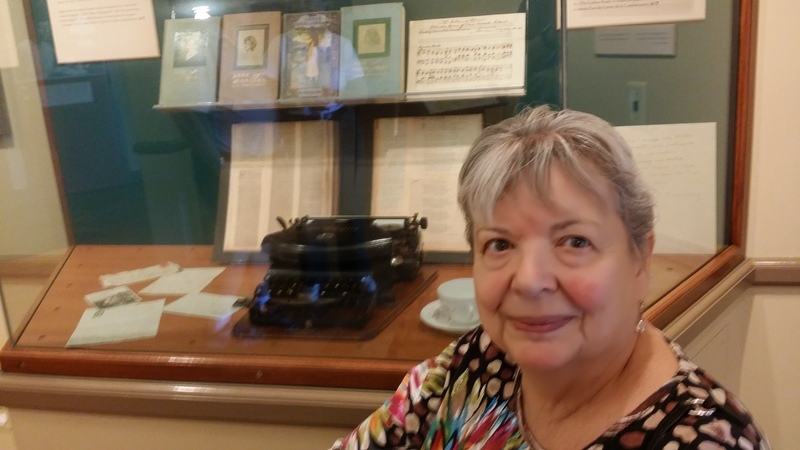 Here I am in front of Lucy Maud Montgomery’s typewriter! Winners of the contest are Donna Schlacter and Gary Myers, they each get a copy of my latest book, The Miracle of You. 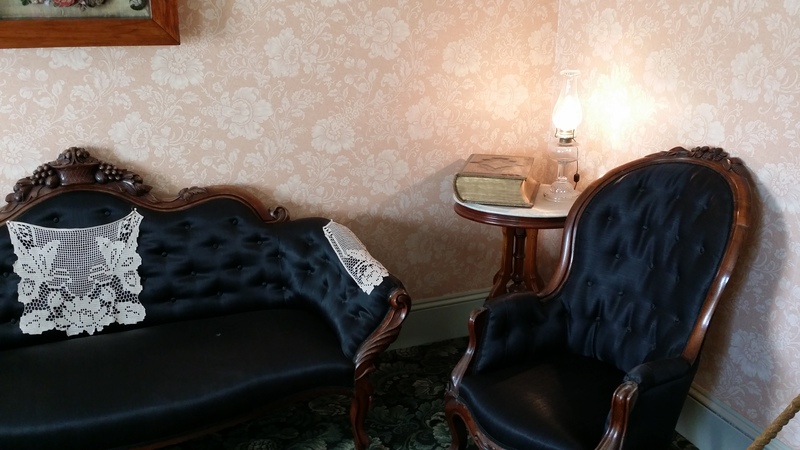 They both correctly answered that I was in the Lucy Maud Montgomery Museum. Imagine how difficult it would have been to write a book like Anne Of Green Gables without a delete key. Those were the good old days, back when writers had to do everything manually. NOT!! David and I watched the Anne of Green Gables movie before we left on this vacation. Truly, the house looks exactly like it did in the movie. We went inside to look. It seems that Lucy Maud Montgomery never actually lived in the house, but enjoyed writing about it. Here’s what it looks like inside. A reading area with lovely seating. Cooking with fire and steel, seems quite difficult to those of us in the microwave age! Click here to find out more about this lovely site. Where In The World Is Vicki? If you can figure out where I am, I will send you a copy of my latest book, The Miracle of You. Good Luck! 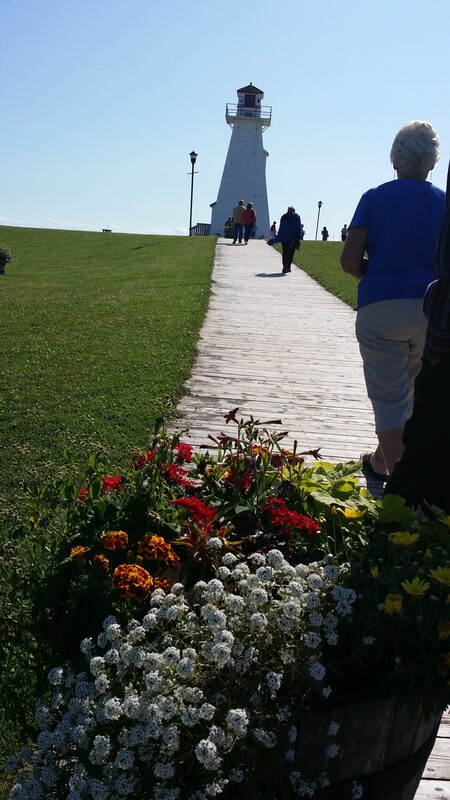 Before we crossed the Confederation Bridge to get to Prince Edward Island we made a few picturesque stops along the way. I couldn’t resist this lovely lighthouse. We saw several lighthouses on this trip. I’ve always been fascinated by them. After we left this site, we began the eight miles over Confederation Bridge. This bridge is an engineering feat. The Confederation Bridge spans the Abegweit Passage of Northumberland Strait. It links Prince Edward Island with mainland New Brunswick, Canada. Before its official naming, Prince Edward Islanders often referred to the bridge as the “Fixed Link”. 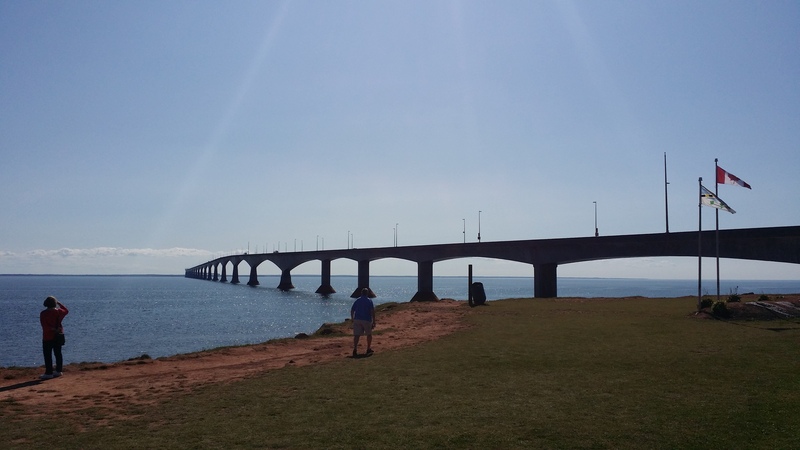 Click here to find out what its like to drive over the Confederation Bridge in a snowstorm.